Committed to serving our local communities. Who is National Express LLC? National Express LLC (NELLC) is the North American subsidiary of National Express Group, PLC, one of the premier transportation firms in the United Kingdom. NELLC is comprised of Durham School Services, WeDriveU, Inc., Petermann, Matthews Bus, National Express Transit, Trans Express, Septran, Smith Bus Service, White Plains Bus Co., Suburban Paratransit Service, Trinity Transportation Group, Transit Express, New Dawn Transit, Cook DuPage Transportation, Queen City Transportation, Monroe School Transportation, Quality Bus Service, Aristocrat Limousine, A&S Transportation, A1A Transportation, Wise Coaches of Nashville, Kiessling Transit and Ecolane in the United States, as well as Stock Transportation in Canada. We operate across 36 states and three provinces. All organizations share a strong commitment to provide the highest level of transportation safety, quality transportation, outstanding customer service and positive employee relations. 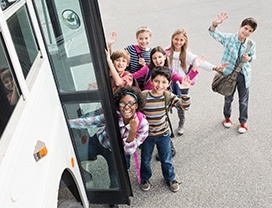 National Express School (NEXS) operates more than 22,500 school buses, serves more than 600 school districts in 30 states and three provinces, and transports more than 1.2 million students on a daily basis. National Express Transit (NEXT) operations transport more than 20 million passengers annually with more than 3,000 vehicles. National Express Shuttle (WeDriveU) serves more than 7 million corporate and university passengers annually. NELLC’s corporate headquarters, located in Lisle, Illinois, houses the administrative and corporate support functions for the organization. Our 250+ local customer service centers (CSCs) are supported by regional operations teams located throughout North America. At National Express, we are in the business of making connections. But making connections isn’t just about arriving at your destination — it’s also about the relationships you make along the way. 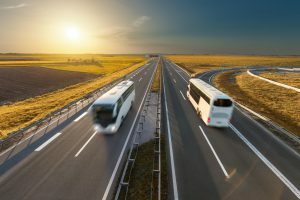 National Express LLC prides itself in establishing and maintaining strong connections within the communities we serve. That’s why we make it a priority to support causes in our community, whether by volunteering at Special Olympics events, providing busing for charity, participating in local parades and much more. In 1996, we decided to make Special Olympics our number one charitable cause. Since then, our employees have dedicated countless hours to volunteering and raising money for Special Olympics at events across the United States. We’ve seen the difference Special Olympics makes. Our partnership is not about handing over a check. It’s about spending a little bit of our time and learning more than we could ever imagine about courage, the human spirit, and what it really takes to win. National Express Corp has a long history of supporting Special Olympics across the U.S. In addition to our financial contribution, many of our employees volunteer during the Games to judge, pass out medals, and shuttle athletes. We are proud to continue to support such a wonderful organization; below are a few examples of how our customer service centers (CSCs) were involved with Special Olympics’ Summer Games in 2010. Texas CSCs (Burleson, Crowley, Justin, Keller, Lewisville, Lubbock, McKinney, Weatherford, and Wichita Falls) – The Summer Games in Texas were held May 26 – 30 and over the four days the CSCs transported 3,200 athletes around the University of Texas at Arlington campus. The CSCs also provided 50 drivers and an additional 20 family members to volunteer at the event. Northern Calif. CSCs (Concord, Grass Valley, San Mateo, and Santa Clara) – NEC provided transportation for the delegations and athletes to the Northern California Summer Games venue at the University of California at Davis. Twenty-five drivers plus regional support volunteered and supported the event which was held June 25 – 27. Southern Calif. CSCs (Calabasas, Carson, Norwalk, Oxnard, Rosemead/Pomona, Santa Ana, Thousand Oaks, Van Nuys, and Ventura) – Approximately 50 employees volunteered to work the Southern California Summer Games where we provided shuttle transportation and worked the Expo Park Booth. Natchez, Miss. – NEC donated a bus and driver for athletes to travel to the Keesler Air Force Base in Biloxi, Miss. to participate in the Mississippi Summer Games. Worcester, Mass. – Summer Games Massachusetts were held June 18 – 20. NEC donated a bus and a driver to transport athletes and spectators. Make an inquiry with National Express and see what we can do to help.